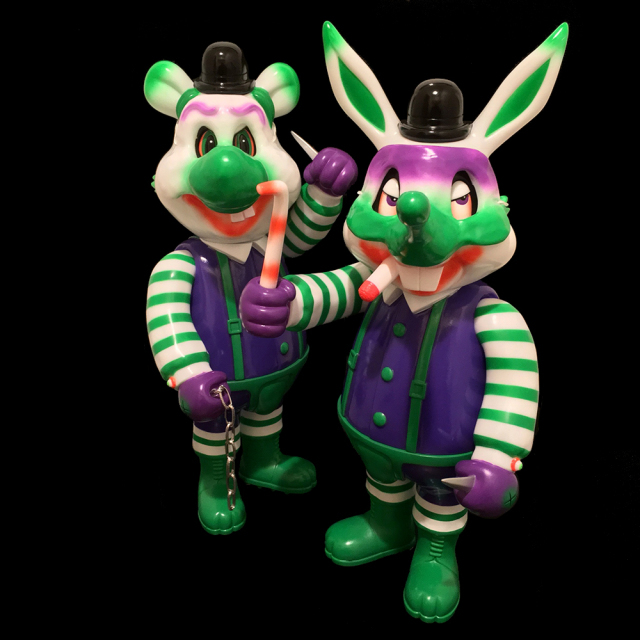 We, BlackBook Toy, are proud to announce the collaboration project with legendary lowbrow artist, Frank Kozik!! Homage to his beloved movie, A Clockwork Orange, Alex got Frank Kozik's treatment!! Here comes "A Clockwork Carrot" series!! Standing 11.25" tall. Made in Japan Sofubi toy!! Which means undeniable quality!! 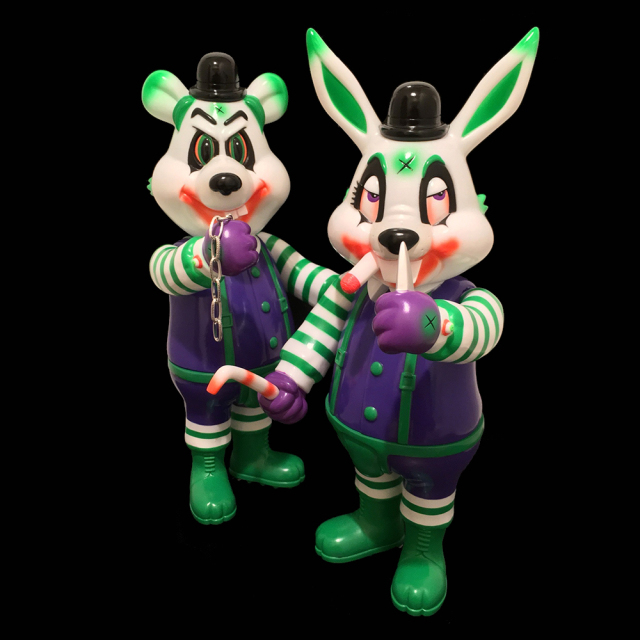 This MC CYCO Supervillain Edition is mashup of that clown and that dark side hero!! Painted his iconic stripe outfits, slit mouth and eye makeup turned out to be super sick psycho!! Plus comes with "that" notorious mask as you seen in that "break in" scene. Lil Alex itself and his mask are sculpted by T9G. This MC CYCO Supervillain Lil Alex would make a perfect pair with MC CYCO Supervillain Dim, which would be on sale at the same time.